We were gifted this item for the purpose of review. All thoughts and opinions are our own. Olivia loves wearing dresses. 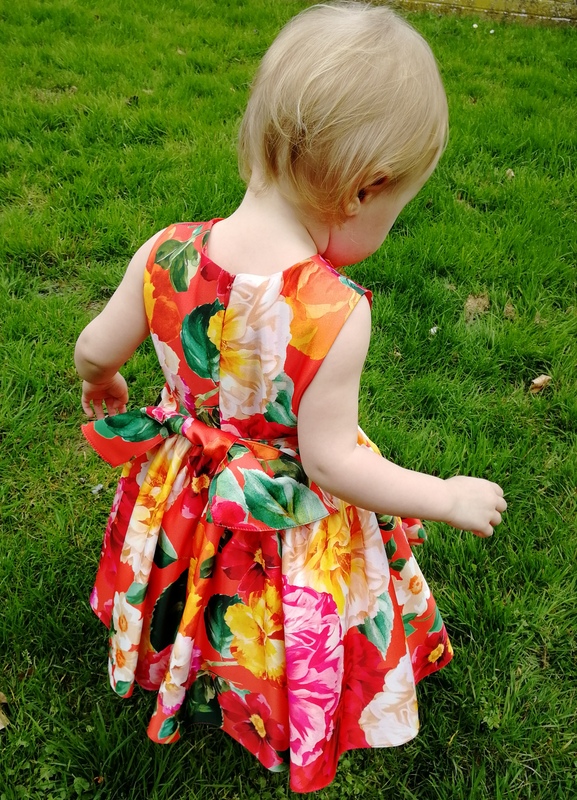 Whenever she is wearing a dress, she loves to spin around and show it off to whoever is nearby. 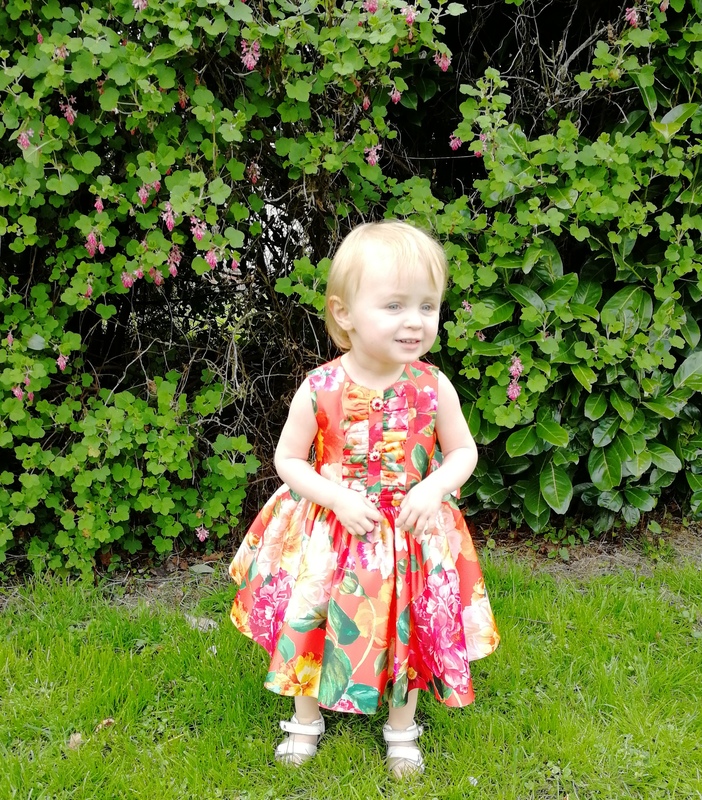 She has a lovely collection of dresses – some we’ve bought, some she’s been gifted from friends and family and others have been passed down from friends. 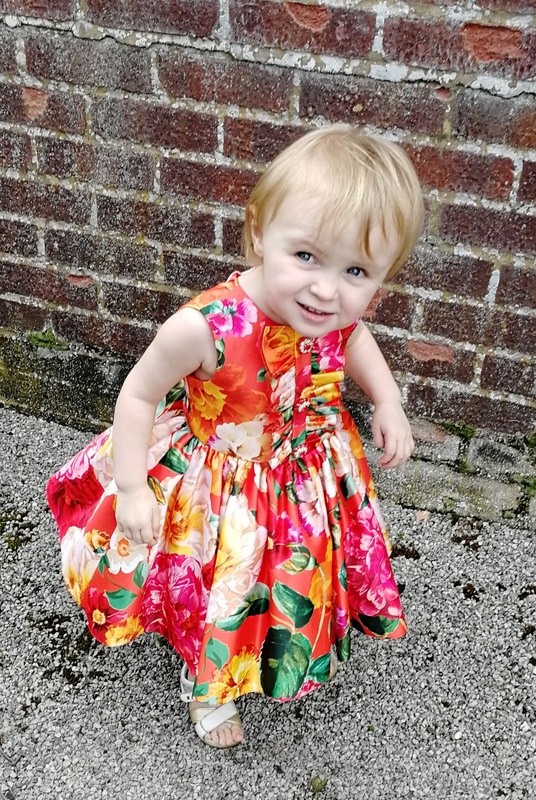 But recently she has had the most beautiful addition to her wardrobe – this orange floral summer dress from David Charles Childrenswear. 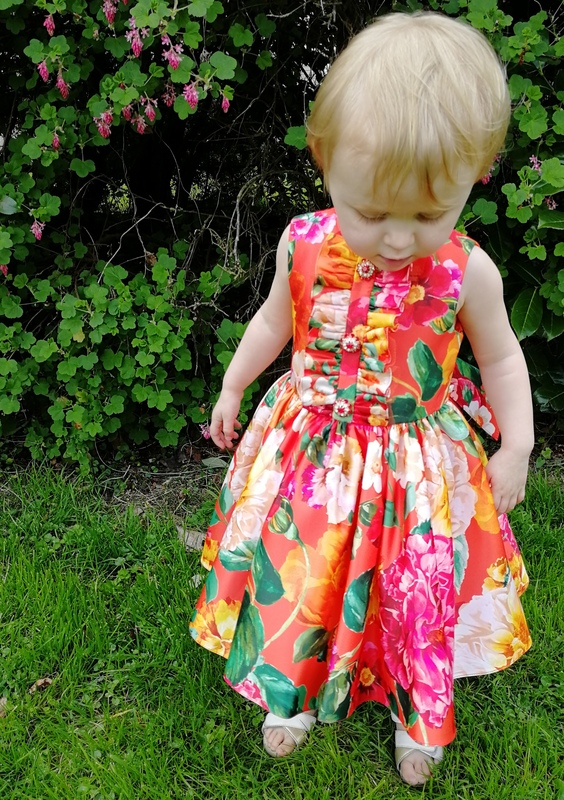 I’d seen a little about them in recent months and had been in awe of the beautiful children’s clothing they have on their site. 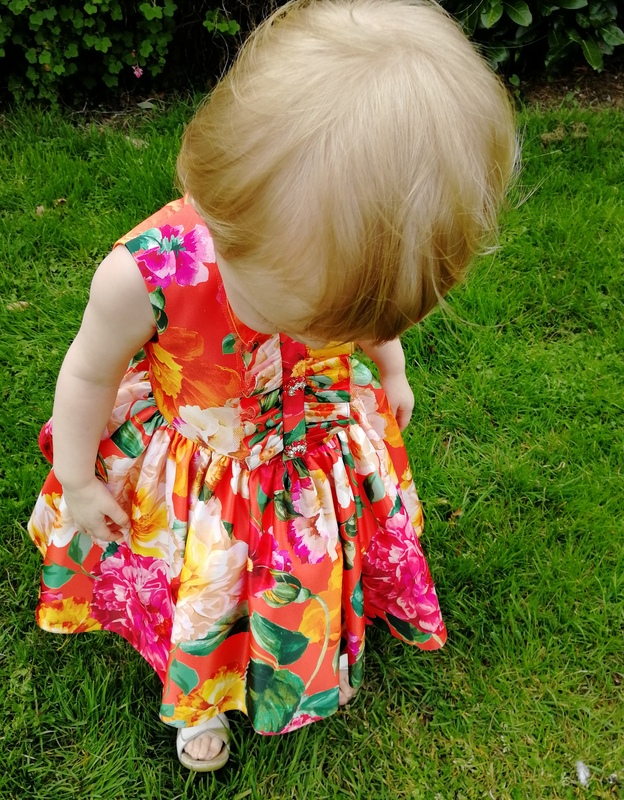 I opted for a beautiful dress from their Spring/Summer range – the orange floral summer dress. 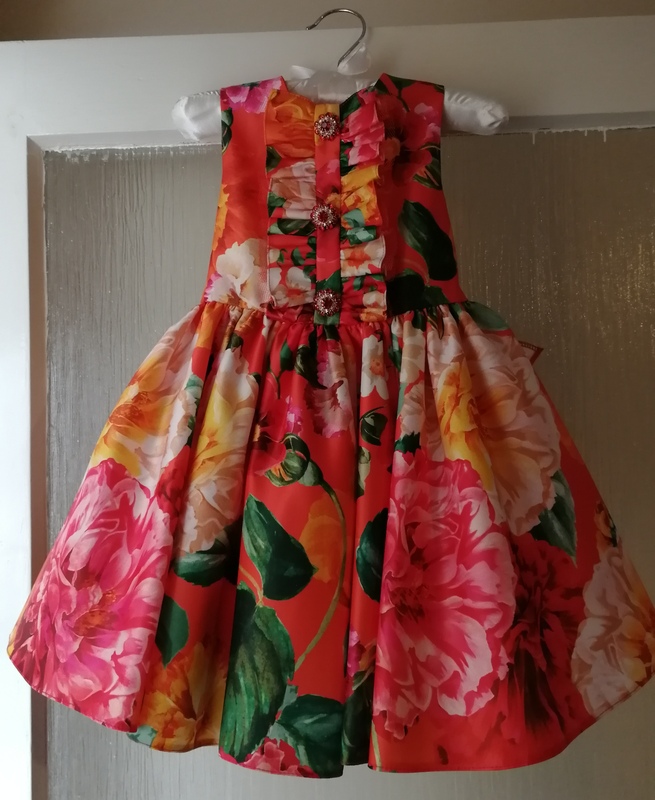 The collection of designer children’s dresses in their Spring/Summer range is absolutely beautiful and this dress itself is no different. 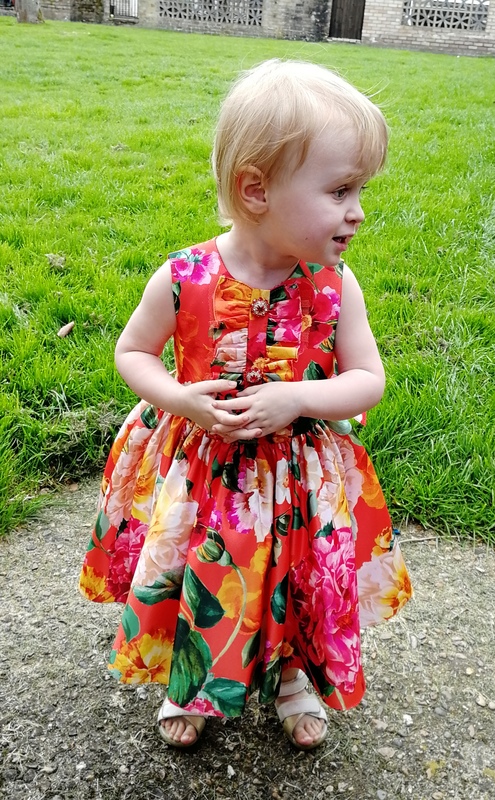 This dress is exclusively available to David Charles and is vibrant orange in colour with a beautiful seasonal flower motif. It also has a pleated tulle ruffled bodice hand-finished with ornate jewels – simply stunning. With a beautiful sash bow and a concealed zip fastening, this is the perfect dress for all occasions. Washing wise, this needs to be washed on a cool hand wash or dry cleaned. I’ve washed it a couple of times since it arrived and it washes well. 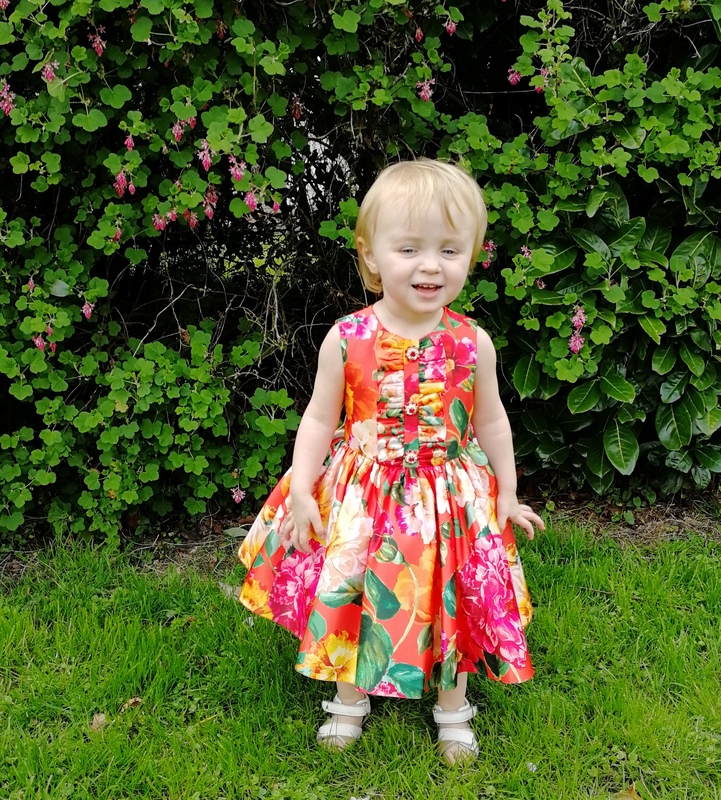 I chose the dress for age 2 because Olivia has just turned two and is still quite small for her age – 18-24 clothing still fits here meaning she should get plenty of wear out of this dress over the summer. Last summer, we headed into our local Bluebell woods for a photoshoot with my photographer friend Em and I feel like this dress would be the perfect outfit for the shoots we have planned in the upcoming months. It is beautiful, epitomises summer and really suits Olivia. Whilst I don’t buy many designer dresses (for myself or Olivia), this is a great addition to Olivia’s wardrobe and I would definitely consider buying more from their designer range, especially the Spring/Summer collection. A beautiful dress is something every girl should have in their wardrobe, don’t you think? Olivia you are a fashion blogger in the making! What an absolutely stunning dress as well! Strike those poses! Olivia looks lovely in that dress! Oh wow isn’t she the cutest!!!! That dress really suits her. Love the colours, perfect for the spring/ summer season. Oh my word, that dress is beautiful! 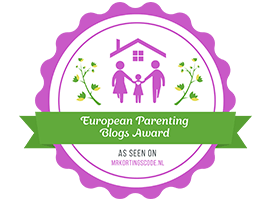 Your little one looks adorable in it! 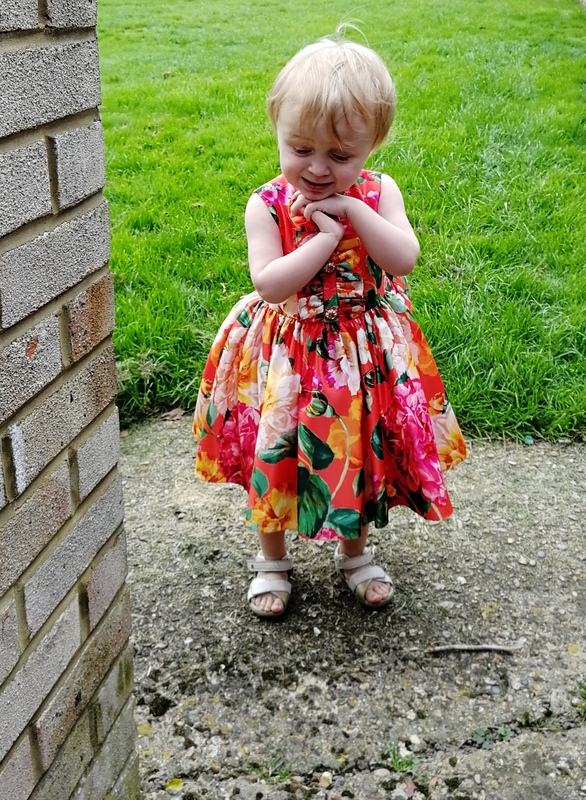 She looks absolutely adorable, sadly my daughter is generally more of a jeans and tshirt kid, although I doubt she could keep a dress the nice clean for very long.